The amiras were a powerful class of Armenian commercial, industrial and professional elites in Constantinople in the eighteenth and nineteenth centuries. They ran the treasury, mint and armament factions, built palaces, mosques and public buildings and operated many monopolies. Because of their unique position, they had good relations with the Ottoman administration and played an important role in the development of the Armenian millet. The amiras ensured the well being of the Armenian patriarchates of Constantinople and Jerusalem, and several amiras became great patrons of art and education. Some even rose to prominence and distinguished themselves in Egypt, a nominal vassal of the Ottoman Empire. 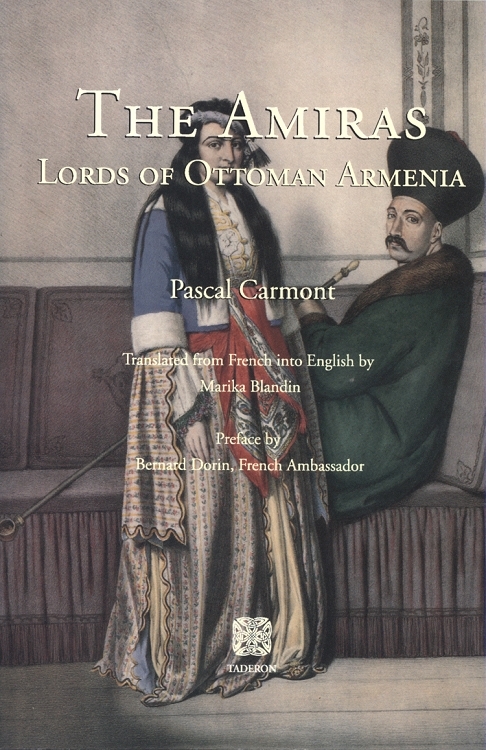 In The Amiras: Lords of Ottoman Armenia, Pascal Carmont—a French diplomat of Armenian origin and a descent of an amira—presents a sympathetic account of these intrepid Armenians based on written sources and his own personal contacts with the descendents of amiras.